Call us at 1-800-565-0700 or simply choose your property of choice to check for availability. One night's accommodation plus hot made to order breakfast for you in our on-site restaurant. No waiting in line and serving yourself - let our friendly professional staff take care of you! Pamper your loved one with a package that includes one night's accommodation with His & Hers Fluffy Bathrobes, a Bottle of Wine of your choice (Sparkling, White or Red) chilling on ice plus a Chocolate Treat! Future Inns Moncton and Halifax are both only minutes away from Costco! Receive one night's accommodation plus a $25 Costco Cash Card which includes a One Day Visitor Pass for Non-Members. Cineplex Theatres is just a 'stones throw away' from both hotels - relax and take in the big screen! Receive one night's accommodation and an Empire Theatres Gift Voucher which entitles you to 2 general admission plus 1 regular popcorn and soft drinks. 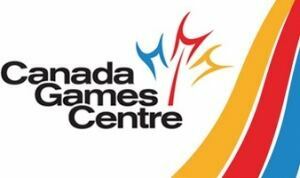 Want to Swim, Play or Workout at the Canada Games Centre? Then this package is right for you. One night's accommodation plus a family pass to the Canada Games Centre. Packages available starting at $135.99 (plus applicable taxes). Do you enjoy shopping? Do you like the excitement of a mall? Then this package is right for you. One night's accommodation plus a $50.00 gift certificate to the Halifax Shopping Centre starting at $155.99 (plus applicable taxes).